This month, Kangaroo Au pair is bringing you the perks of au pairing down under. Have you dreamed of visiting the beaches of Sydney, Byron Bay and the Gold Coast? Are you a student looking to travel but don’t have the budget? Au pairing in Australia is the answer! 1. You can travel at minimum expense. First of all let's talk logistics. Whilst the Gold Coast may be calling your name, the reality is that money is the obstacle for students looking to travelling the world. 2. You can’t choose your family but you can choose your Australian host family. Going to live in a different country with a whole new family may seem daunting. This is why choosing your host family is so important! From Melbourne city to the beautiful beaches of Byron Bay (think of the Insta’ opportunities! ), families looking for au pairs stretch the length and breadth of the country. So, whether it’s a city experience or months of living on the beach that you have in mind, whether you dream of being the au pair of toddlers or would prefer to develop your childcare skills with older children, the choice is yours! Kangaroo au pair can help you to find your perfect match so that you can make connections with a new family which will last a lifetime - and this is no cliché. Au pairing is the most amazing way to bond with kids and watch them grow - and believe me, they will always remember you! Angie and her family are one of many Australian host families looking to welcome an au pair into their family for the summer. This family who are living in a beautiful coastal town between Byron Bay and the Gold Coast, are in search for a fun living and responsible au pair for their two children. The duties of their an au pair would be to drop and collect children from school as well as helping them with their homework and activities and preparing their healthy meals in the evenings. And, as if living along this beautiful Australian coastline isn’t enough, your weekends off can be spent enjoying their pool and putting pocket money of $300 dollars a week to good use. So, if you’ve set to register - it’s never too late. Sign up today for free to discover the many more families which could be a match for you! Finding employment when travelling or taking a gap year in Australia can be challenging, especially if you want to organise it all before you go. Choosing to au pair means that you can leaving home with a guaranteed job already in place on the other side and a family ready to welcome you with open arms. It’s a no brainer really! In essence, think of it like this; you can set off to Australia on the adventure of a lifetime with guaranteed work which covers your accommodation and living expenses! This must be too good to be true..
As a student leaving home, it can often feel overwhelming moving into the real world on your own - especially when travelling to somewhere that you’ve never been to before. Although Australia may be far from home, you are becoming a member of a family who will help you settle in and offer you support when you need it. You will live with, go on family outings and have meals with your new Australian family! This is the great thing about au pairing - you can experience independent life while retaining many ‘home comforts’. It really is the best of both worlds. Being an au pair, you will fit in as one of the family but at the same time be given pocket money and free time to explore. What’s more, there are many families looking to welcome young people into their homes! Being a tourist in a foreign place is one thing but when it comes to au pairing, integrating into a local family allows you to learn the way of life of an Australian family. Imagine yourself nipping down to the local surf club to collect the kids from camp, calling into the fishmonger before dinner - you’ll get a portrait of life in Australia that you would otherwise never get to experience. Au pairing is not full time - au pairs are given evenings and full days off to travel and put that pocket money to good use! Australia’s wildlife, beaches and cities are some of the most magnificent in the world. Au pairing will give you the time to explore Bondi beach, national parks and the Australian Wildlife! Your time off is yours to spend as you choose discovering Australia’s vibrant culture. It is an opportunity of a lifetime. The best way to explain the beauty of this arrangement is simply by translating the words “Au pair” into English. Au pair means “at par”, revealing the unique relationship that is fostered with a host family. This is no employer employee relationship but one in which you, as an au pair, are immersed into the family and their unique culture! And with that, I ask you this; What is stopping you now from signing up as an au pair and exploring the beauty of the Australian lifestyle? It is an opportunity not to be missed if you are looking for an adventure and a once in a lifetime experience! Would you like to au pair in Australia? Check out our fantastic Australian host families and read more about our Australian Au Pair programmes. 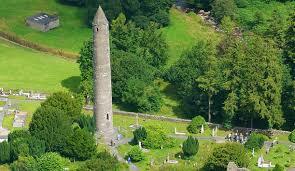 Cost of the trip is €28 for Kangaroo au pairs and their friends. Please contact us at info@kangarooaupair.com to book your place before the 22nd February. We are looking forward to seeing you then! Last Thursday, the referendum for Britain to leave the EU took place. As a result of this referendum many British host families and au pairs from the EU have asked what this means for the au pair programme. Up until recently young people from the EU could travel freely to the UK to participate in the au pair programme. For many years, they have been coming to the UK to enter into the au pair programme. 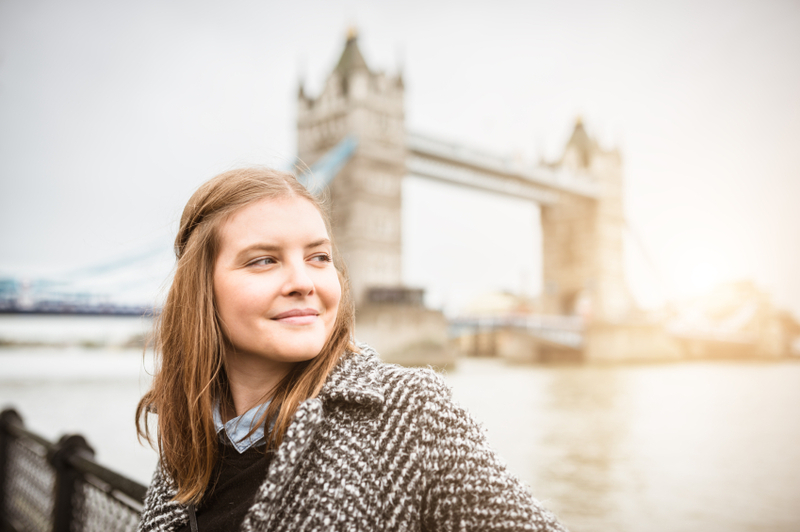 The UK has long been a popular country for au pairs as they can improve their English, they have the opportunity to visit the many cultural sites and monuments throughout the UK and they can get to experience all that London city has to offer. For more information regarding the regulations and requirements for au pairs and host families in the UK see here. There is a list of conditions and most of these conditions must apply in order for someone to be classed as an au pair. A central part of this list, is the requirement that the au pair live as part of the family and are here on a cultural exchange programme. The UK government sets out that an au pair lives as part of a host family and is given pocket money and the au pair is not usually considered to be an employee. Following the result of the referendum, there has been much uncertainty as to the future of the au pair programme in the UK. Both the British au pair association BAPAA, and IAPA, the international au pair association have issued statements on the British referendum. Both have stated that they do not believe that the vote to leave the EU will affect Au Pairs for the foreseeable future. Here in Kangaroo au pair we will also work hard to ensure that the very successful au pair programme in the UK is maintained. Currently young people from the EU, and those who have entered the UK on either a student or youth mobility visa can enter into the au pair programme in the UK. Over the years, thousands of young people have entered into the au pair programme in the UK. We will continue to update you as more information is made available to us. For more information regarding the au pair programme in the UK click here. URGENT – au pair bill- we need your help! approximately 20,000 au pair host families open to being sued by their au pair also. au pair programme into disarray. Recently Fianna Fail TD, Anne Rabbitte has proposed au pair legislation to govern the au pair programme in Ireland. As part of this legislation, an ‘aupair’ would be defined in Irish law as a cultural educational programme. If her bill became enacted, then au pairs would no longer be deemed to be employees and would be legislated for outside of employment law. This is really very good news but we need your help. We hope that this bill will be proposed to the Dail within the next few weeks. Following the legislation being presented to the Dail, TDs may then be asked to vote on this bill. In order to be enacted the majority of TDs in the Dail need to vote in favour of this bill. My name is ……. I am writing to you regarding a bill that is due to be proposed to the dail by Fianna Fail TD, Anne Rabbitte. I would urge you, on behalf of Irish families, to vote to enact this bill into being. This bill will not only ensure and safeguard the au pair programme in Ireland but it will also ensure fair treatment for host families and au pairs into the future. For the sake of approximately 20,000 Irish host families I sincerely request that you vote for this bill. If you have any other questions regarding the above please get in touch.